dvdisaster provides a margin of safety against data loss on CD and DVD media caused by aging or scratches. 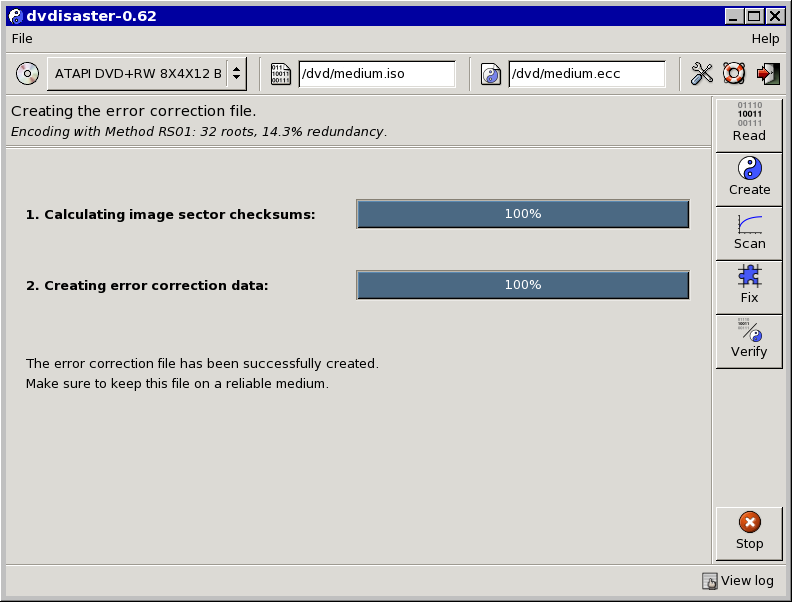 dvdisaster creates error correction data to compensate read errors which are not correctable in the CD/DVD drive. 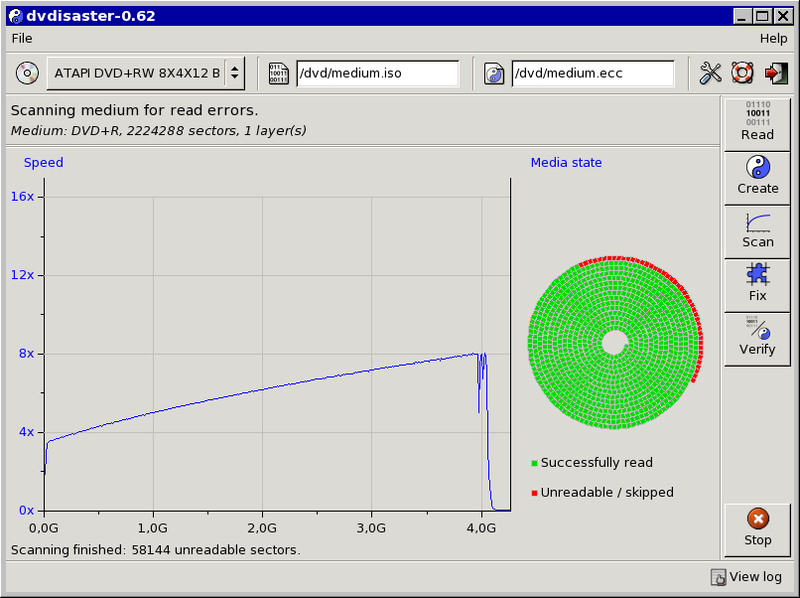 dvdisaster tries to read as much data as possible from defective media. 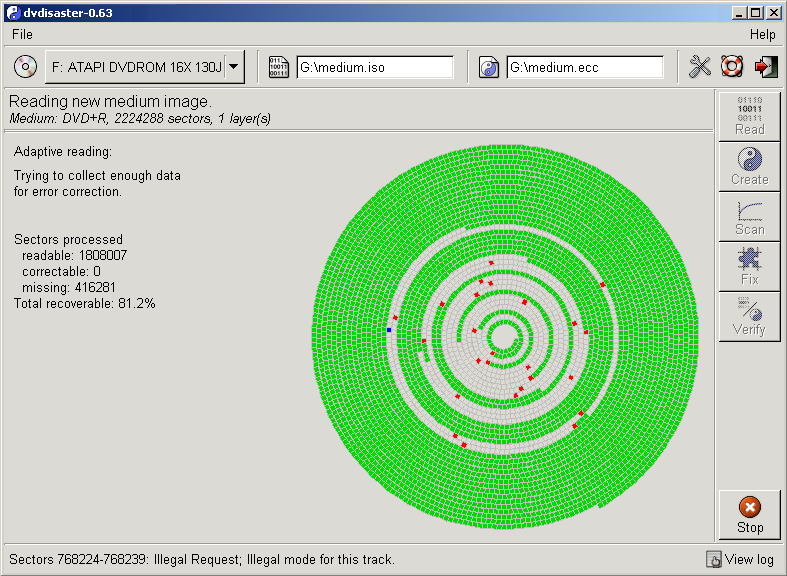 Afterwards unreadable sectors are recovered using the previously created error correction data. The maximum error correction capacity is user-selectable. 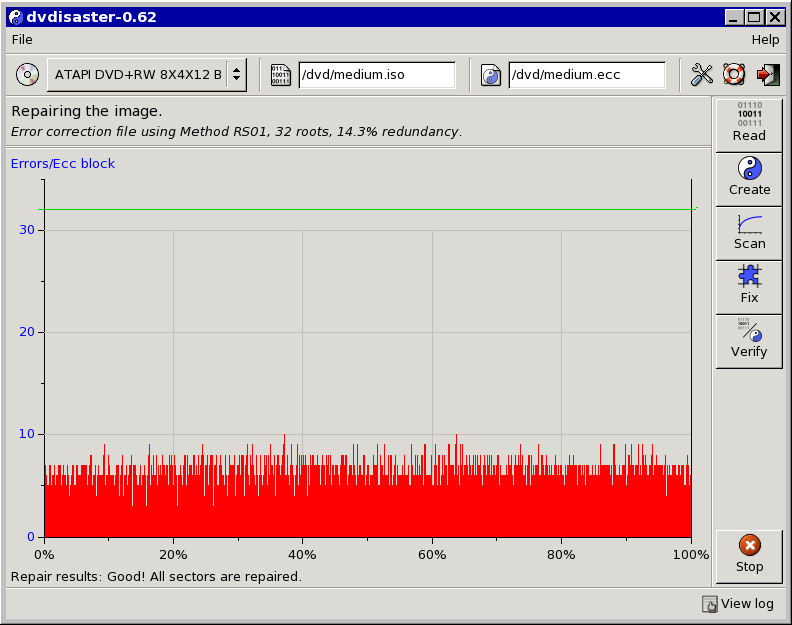 dvdisaster operates at the image level and does not depend on the file system. If you create the error correction data in time and keep it at a safe place, you have a good chance of recovering the medium contents from typical read errors and to transfer your complete data onto a new medium. A problem with newer Linux kernels was fixed which would lead to a frozen system under some circumstances. Please upgrade on systems running kernels 2.6.17 and above; maybe earlier kernels are also affected. The release of dvdisaster 0.71.24 also marks the start of an online documentation rewrite, including a Russian translation made by Igor Gorbounov. Currently, the english documentation is far from being complete. Please bear with us; we'll catch up soon.